Duluth's newest Starbucks to open Friday March 14th. We've got the official opening date for one of the first retailers to open at The Shops at BlueStone... and it's one that will keep those students energized for all those finals coming up in a few months. Starbucks will open their fourth Duluth location (yes the one in Target actually does count as a location) at 5am on Friday, March 14th. 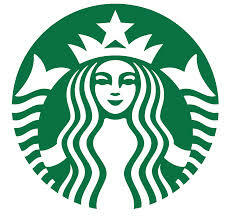 A Starbucks spokesperson said the company had been searching for another "great location to better meet the needs of our customers" within the Duluth area for quite sometime. The new 1,848 square foot location will employ 17 partners (employees) and will be the first location in the area to offer a drive-thru. This location also will be unique in the fact that it will introduce Clover® brewing system to the Northland. If you're unfamiliar with the system, prepare your tastebuds to experience coffee like they have never tasted before. Here's how Starbucks describes the system. Introduced in 2007, the system has "an innovative design that lets you discover new layers and dimensions within a coffee's familiar aroma, flavor, body, and acidity." Yes, that is exactly how Starbucks describes it incase you were wondering. 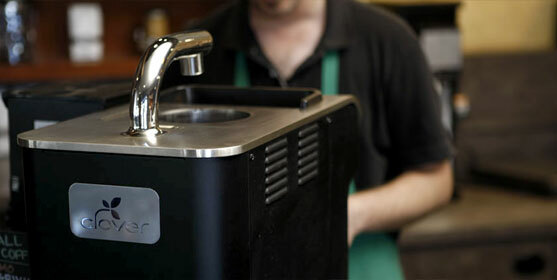 We've actually tried a cup of coffee from the Clover® brewing system before and we do have to say it is quite amazing. Why is it so good? Well, not only is the machine technologically savvy, but it also brews just one cup of carefully prepared, made to order, coffee at a time. The system uses "Vacuum-Press™ technology to create your cup of coffee right in front of you." It's actually pretty cool. The barista will place the coffee grounds onto a stainless steel filter which will then lower into the brew chamber. There hot water will be added at a precise temperature and will brew for the perfect amount of time. It's all automated here people, literally the system has a computer that communicates with the Starbucks home office. The Clover® brewing system monitors each element of the brewing process digitally due to the fact that even the smallest of changes can drastically affect the taste of your coffee. There's even a thermal blanket that surrounds the brewing chamber to ensure that water stays within 1 degree fahrenheit of the perfect brewing temperature. Once the brewing process has finished, the coffee is pulled through a filter and "the grounds are pushed out of the top of the machine." The perfect cup of coffee then flows down into the cup and your tastebuds begin to dance with anticipation. We're not going to lie, it's kind of a big deal that this location will have a Clover® brewing system. They're only in select stores across the country, so yes, we should feel special. Starbucks newest Duluth location will also feature a fireplace which clearly will be fully utilized by the surrounding student population during the winter. The exact design of the store has yet to revealed, however some stores have educational design elements to them when in close proximity to Universities. Design elements celebrating the surrounding college may be present, otherwise many Starbucks locations are currently sporting a vintage look with dramatic woods and lighting. Starbucks invites customers to preview event at the store on Thursday, March 13th from 4pm to 7pm. Wendy's remodel growing in size?